ARTIST'S COMMENTS: Sometimes a design concept just walks into your life like this one did, so I sketched it down immediately and Crazy Legs came to be. 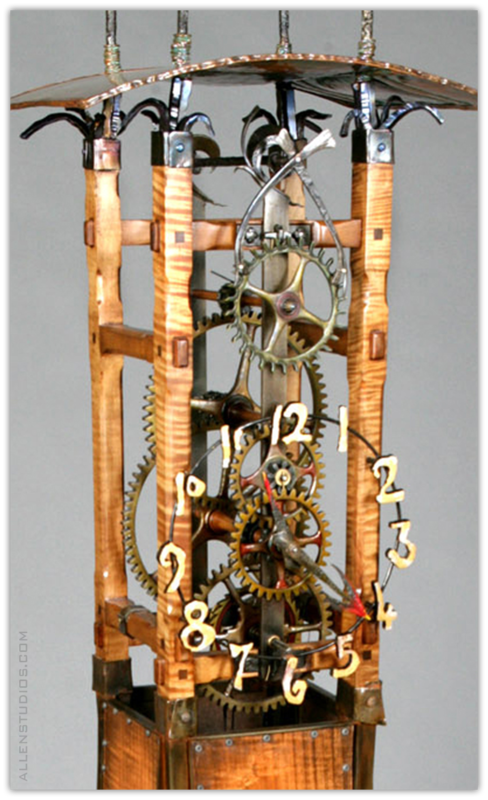 The techniques used in making this clock include casting, gear cutting, welding, woodworking, and metal forging. This one was especially enjoyable to make.